Sessions using Coerver practices focused on Passing and Receiving technique. 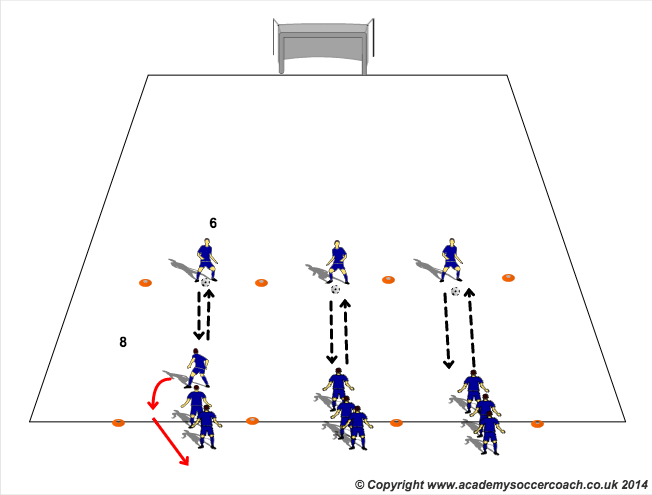 Setup: 8×6 Area, three groups with one ball. Description: Each team starts with one server who has a ball, all other team mates are on opposite of area in a line facing the server. Players take turns to receive a pass and return the ball to the server, once they have played a pass they join the back of their group. Change server every 60 seconds, can use hand signal for this to ensure players look up. Outside of right/left (change direction of ball) and pass with same foot. Competition: When you have worked through progressions and find a technique all groups are comfortable with put 60 seconds on clock and see how many complete passes each group can make. If ball goes outside their grid it does not count. Description: First person from each group stands on the receiver line, when the coach starts play the opposite player must make a pass to the receiver. 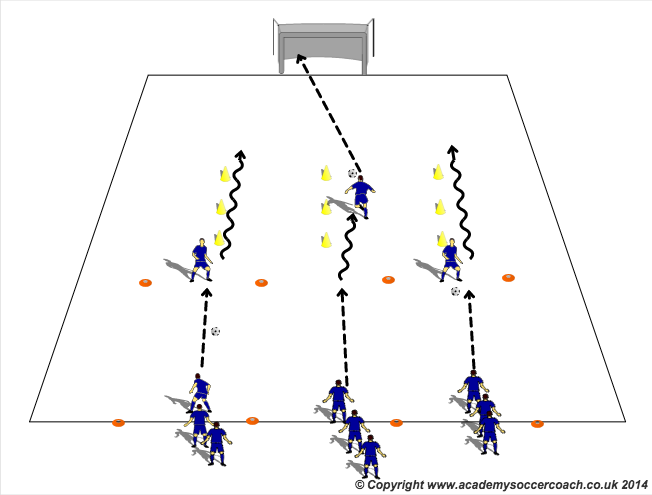 They must then turn and dribble to the end of the three large cones before shooting into the open goal. The ball must not hit the ground before the net for the goal to count, the team who scores first wins a point. 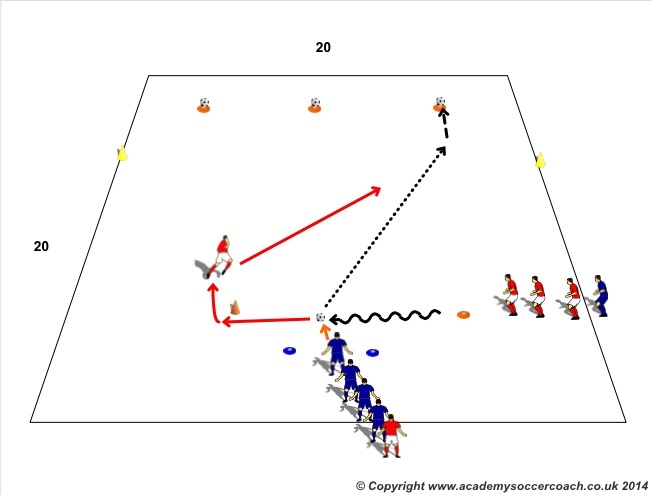 Description: Players now split up into two teams, defenders (reds shown) start with a ball. They dribble a stop the ball in front of the blue player who can attack. The defender must go round a cone and apply pressure to attacker. The attacker must break into the end zone and speed and try to knock a ball of the cone. Players join opposite group once complete.